Learn how to fix your blog post titles – “the most critical element” of your blog content – so you can generate more website traffic. Imagine this: you have written amazing content for your next blog post. After hours of researching for ideas and formulating your own thoughts thoroughly on a specific topic, you have carefully put it in points, including an intro and summary as well as key takeaways. Now the only thing left to do is; to write an equally amazing blog headline and title to make sure the reader clicks on it. Well, let’s face it. As digital content marketers, we all know what writing for the internet means – getting found by the searcher when he/she is looking for some information online. And your blog post will only get clicked, if the title that appears in Google search results is attractive enough to grab the reader’s attention. But how do you go about creating a catchy headline that your audience finds irresistible? Easier said than done, huh! If brainstorming the perfect blog title drives you crazy, then you need to read this article. I am going to show you exactly how to create buzz-generating powerful blog titles that readers love and so does Google! And appearing frequently in search results means more traffic for your business website. Sounds good, right? You can use a number of smart tactics to achieve high click-through rates for your blog titles and 10x your website traffic. Want to know how to appear higher in SERPs and make your blog title a lead-generating tool that can bring massive traffic to your business website by using just 3 tactics? Then, read this article to find out. Listicles are articles which focus on numbers and a list format to structure the main points. Popularized by websites like Buzzfeed, listicles (or list-articles as journalists like me prefer to call it) have the tendency to go viral due to their skimmable and easy-to-scan format. Since readers’ online habits show that they skim through text, when information is presented in numbered format including sub-headings, it is efficiently consumed. It is also a great way to highlight key points of the article. The best part of creating a listicle is the title. You already know how many steps or things you have on your list, thus, it is a great way to start the title and takes away the stress and frustration of facing writer’s block. Did you notice what I did there? I added the adjectives - “Top”, “Best”, “Powerful” which give it some angle and evoke a response in the mind of the reader, persuading them to click on it. This is a sure-fire way to make your blog title stand out from the rest as it will appear in Google search results alongside not-so-effective blog titles by others. It will also help you rank higher in SERPs. In other words, it will optimize your blog title for search engines. Think SEO! As a business trying to generate traffic to your website with the use of blogging and other content marketing techniques, you must be aware of the importance of personalizing your brand’s message. Personalisation is the key to create empathy with your target audience who visit your blog and have the definite potential to convert from “cold leads” to “customers”. The whole point of marketing your business online is to engage the readers with your content and convert them into leads. 500%!!! That’s massive! 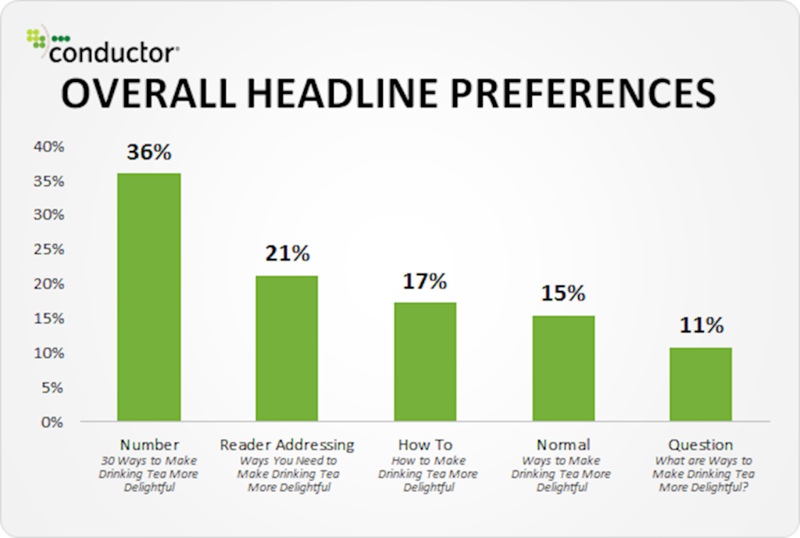 By crafting headlines using the second person, you can nail the personalization tactic and grab more eyeballs for your blog post. In the above-mentioned examples, we have managed to create an impression with the use of adjectives. Now, let’s create that “personal touch” readers crave for! How about including words like “You” or “Your” to your headline and see if it makes any difference? By using these easy-to-apply tactics, you are not only going to cut your time in half when writing a blog title but also get more reads and shares of your blog post. Author: Komal Mansoor is a freelance digital content writer, self-proclaimed blog doctor and journalist at www.komalmansoor.com. She helps businesses leverage their digital marketing efforts by using her journalistic style of writing. Komal tweets about SEO, blogging, inbound marketing and content strategies at @komalwriter. You can also connect with her on LinkedIn and via her brand-new Facebook page for content writing and marketing tips.